The game was initially released as an exclusive to Dave & Buster's in North America, but was later released internationally. As of May 2018, there are no plans to release it for non-arcade platforms. 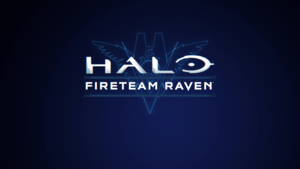 A reveal trailer was released on May 17, 2018 on YouTube, showing the first in-game gameplay of Halo: Fireteam Raven. On June 16, 2018, in Rosemont Illinois, there was a pre-launch test of Fireteam Raven at the local Dave and Buster's. A hunter pair in the game. A Scarab in the game. Warthogs assaulting the crash site of the Pillar of Autumn. A screenshot from mission 1. A screenshot from mission 2. A screenshot from mission 3. A screenshot from mission 4. A screenshot from mission 5. A screenshot from mission 6.